Tonight I took her out on a preview of my new San Lorenzo Tapas Tour, which will be starting in September. I think it’s going to be great. About a year or so ago I started also offering my Market & Tapas Tour on We Love Tapas. Since then Cinta, and now José, have joined the WLT team and so yesterday we did a “walk through” training session so that they could also start doing this tour. There have been a couple of changes since I first started doing these, including a lovely collaboration with Ana, the owner of Lama La Uva, one of the most unique wine shops in Sevilla. Delia has been doing the market tours for awhile now, but it was great that she could stop by the shop for a glass of sherry with us. It’s a total pleasure – and honour – working with these guys. 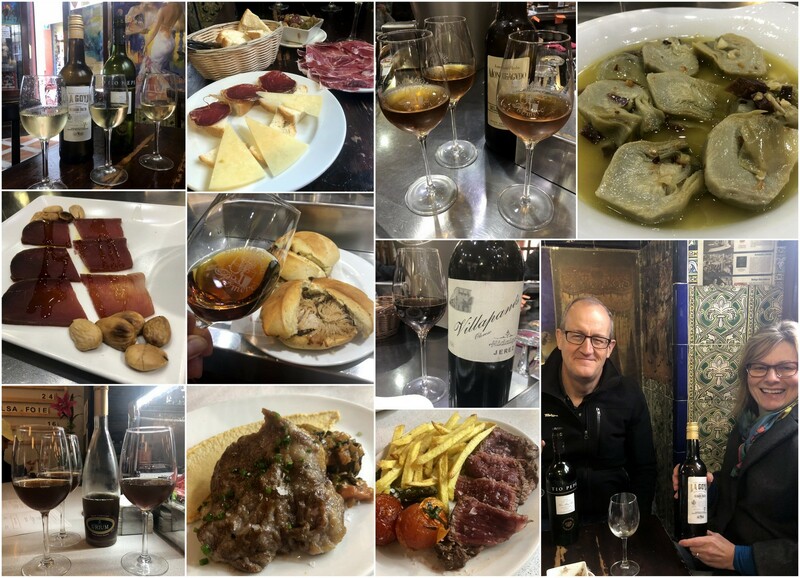 I’ve been doing a fun Triana Tapas Tour for a few years now, but recently decided to modify it a bit for We Love Tapas. And so… introducing the new Tasting Triana Tour, which will include a market visit, 3 tapas bars and a relaxed stroll around Triana. First one will be this Saturday!